Note: Swings should be shown as 2 sets of 20 reps for a total of 40 reps. Please note this change. Need help in finding a progression to make sure you will do each exercise properly? 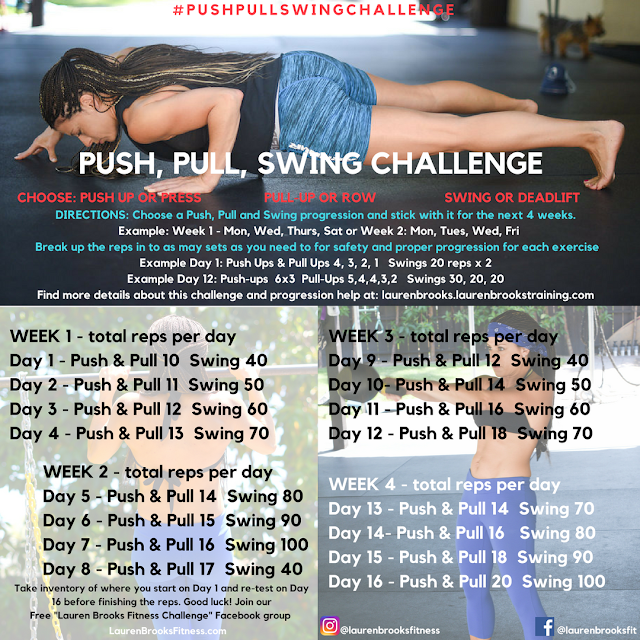 If you REALLY want to master the pull-up check out our downloadable Pull up guide ebook with videos and a solid program to win. for extra motivation and support. Let's have some fun! See you in the group.